In a change from recent years, we ran our Club Championship over the summer break rather than our usual programme of events. 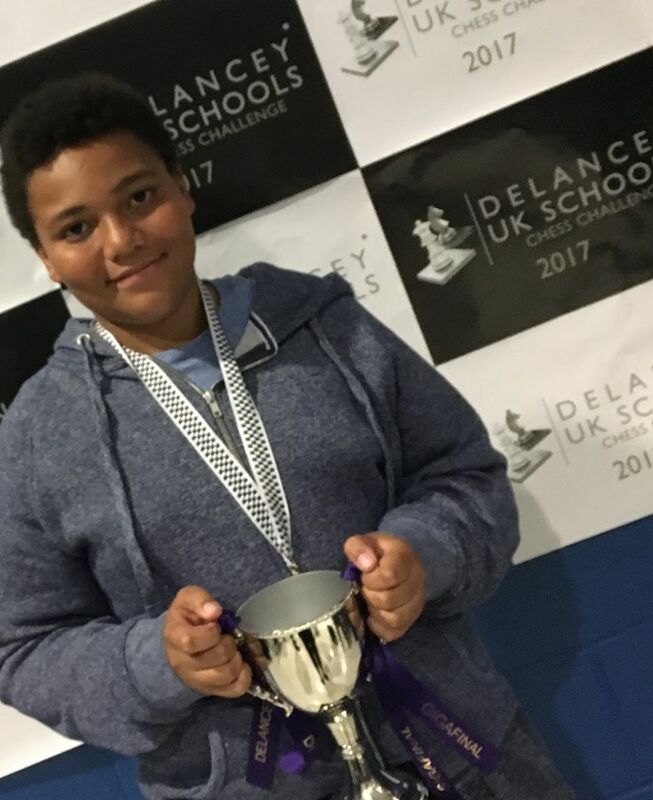 The only unbeaten player over the five round event was up-and-coming junior Jaden Jermy, who finished a full point clear of his nearest challenger. The full cross-table of results is available here. Over the coming weeks I hope to add some of the games to the club website here. The tournament began before the summer grades were published, so seeding was based on older grades from January 2017. As a result, Jaden was paired against top seed Steve Ruthen in the first round. Jaden surprised Steve with the quality of his play, and after winning a piece in a complex middle-game, quickly went on to win with some very elegant moves. In the second round, he comfortably beat yours truly (Steve Lovell), and then in the third he took down Bob Jones. These games contained few fireworks. Jaden played calmly, reaching materially equal endgames ... but he judged the transition into those endgames better than his opponents and with this king and pawns better placed went on to win each with relative ease. I was impressed by Jaden's calm and mature approach and his ability to determine which exchanges would work in his favour. After a taking a bye in round four, Jaden was paired against Jon Collins in the fifth and final round. On paper it was still possible for any of four players to win the event, and I'd had to devise a system of tie-breaks to cater for the possibility of a three-way tie. But Jaden made all of that unnecessary, extracting himself like a magician from the opening difficulties which Jon appeared to have created for him and then going on to win. A close look at the cross-table shows that Jaden had comfortably the most difficult draw of anyone in the event. He played and beat the top four seeds, all graded over 140 ECF. Many congratulations Jaden. It was a thoroughly deserved result.